Using Journaling While Caring for a Senior with Alzheimer’s Disease - All Care Hawaii. LLC. Being a family caregiver for an elderly adult is challenging, but when that senior is dealing with increased needs or particular health issues, it can be even more difficult. This can lead to tremendous levels of stress that can put your mental, emotional, and physical health, well-being, and quality of life at serious risk. Finding ways to ease your care burden, such as hiring a senior care provider to take on some of your parent’s care tasks, and manage your stress can be extremely valuable in protecting yourself and ensuring that you can be the highest quality caregiver for them that you can be. There are many ways that you can ease and manage your stress throughout your care journey, but one of the most useful is journaling. Keeping a journal is a way for you to record your thoughts and feelings when you are overwhelmed and look back on them later. This can allow you to express yourself, release tension, and “say” things that you might feel, but that you would never actually want to put a voice to when caring for your senior. It is also a wonderful way to ensure that you can hold onto memories and precious moments that occur during your experience but that you might forget due to the chaos and tension that is happening around you. • Be sure to date each page and use a new page for each entry when possible so that you can have an accurate timeline of experiences. This is not only valuable when you look back on it later in life, but can also help with providing information to doctors. • Be honest when writing in your journal. Remember that this is for you and that you do not need to allow anyone else to read it if you do not want to. Use this opportunity to fully express how you are feeling. • Start a gratitude page in a separate section of the journal and write down wonderful things that you experience every day. This can be anything from hearing a bird sing to seeing your parent smile. Look at these when you are feeling overwhelmed and helpless. Starting senior care for your aging parent can be one of the most meaningful and valuable decisions that you can make for them in the course of your caregiver journey with them. A senior home care services provider can be there with your aging parent on a customized schedule that is specifically designed to ensure that they get the care that they need, while also supporting as much independence and autonomy as possible. This can be particularly beneficial if you live at a distance from your parent or have a busy schedule and are not able to be with them as frequently as you would like to be. 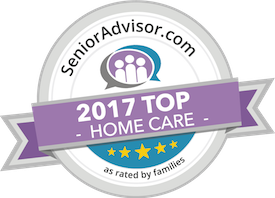 This care provider can fill care gaps, handle potentially sensitive tasks that your aging parent or you are not comfortable with you handling, and offer companionship and support that encourages a higher quality of life throughout their later years. Have questions about hiring homecare in Kaanapali, HI? Contact the caring staff at All Care Hawaii today. Call us 24 hours a day, 7 days a week!